Firstly, I hope that one and all had a safe holiday season and a Happy New Year. I spent some time up North with my parents for Thanksgiving and Chanukah, followed by a week-long vacation in the Caribbean, and then laid low for a few weeks at home around Christmas and New Year’s. It has been fascinating to watch the president’s dogged determination to push his healthcare legislation. He’s wed himself to a bit of policy that he hopes will be his legacy, for better or worse. He has been unable to strongarm many of his more socialized ideas and philosophies through Congress, and has chosen this to be the crowning point of his administration. But, now that the health exchanges have rolled out, there have been some interesting developments. President Obama may get his healthcare legacy after all, but not in the way he expected. I know it has been a while since this blog was updated. On one hand, I have been incredibly busy at work – we’re in the middle of our grant season, I’ve been going on site visits with nonprofits, there have been several events, and I was in Albuquerque for a conference a few weeks ago. On the other hand, I admit I only really enjoy writing about topics that people are willing to discuss. Let me explain: last week I was watching two good friends fight via that great medium of conflict, Facebook. They eventually wound up unfriending one another over the argument. It honestly didn’t bother me incredibly: I was the sole catalyst for their connection and they had only known one another for a few months, though I’ve known both of them for several years. But watching the argument and seeing how each side was positioning, I realized that the argument would inevitably be without a winner. Both parties were accusing rather than discussing, and essentially repeating their position over and over to one another. Today the U.S. experienced another dreadful gun-related tragedy, this time in the Naval Yard in Washington, DC. They are reporting that thirteen people, including a shooter (and there may have been more than one), were killed when Aaron Alexis opened fire from above. My sincerest, and most heart-felt prayers are with the families of those killed and wounded, and with the people who witnessed the disaster that will face the inevitable after-effects of crises. Yesterday I had the pleasure of visiting the National World War II Museum in New Orleans for work. It’s a terrific museum, and they have some really exciting plans for future exhibits – if you can make the trip, I highly recommend going. I especially recommend seeing the film Beyond All Boundaries while you’re there; it’s a production that you truly experience rather than simply watch. The President and CEO of my foundation has a new piece about how we can all help Syrian Refugees and Internally Displaced Persons even without congressional vote. I usually don’t like posting about the same topic twice in a row, but I was reading up on the humanitarian efforts in Lebanon, Iraq, Turkey, and Jordan, and there seems to be a severe lack of mental health resources in the region. All of the organizations are working to provide food, shelter, clean water, all of which are vitally important, but without the mental health aspect, Syrians are not going to be able to recover. Everyone that has been displaced – even those that have not – is going through trauma now. I saw the IRC is providing mental health services, but it seems to be concentrated only on women who are victims of sexual violence, not addressing the more widespread issue of being forced out of your house, away from your home, and being deprived of everything you once owned. Mercy Corps is providing interventions for children in order to help heal the trauma. Back in June, Médecins Sans Frontières warned of increasing health problems as the situation worsened, particularly mental health. Unfortunately, MSF seems to be based in Tripoli, and there doesn’t seem to be much indication as to how far social workers are able to travel to visit those that cannot come to their hospital. At this point in the crisis, yes material goods are going to be important. But there are so many organizations all working to that end, it seems as though it would be a good opportunity for an organization with experience in PTSD and mental health issues to step in and offer counseling for women, for children, for men, as well as for the aids working with the refugees throughout the crisis. In addition, many refugees are Muslim. The Islamic faith puts great emphasis on the community. As a result of displacement, these strong communities are being ripped apart. Loved ones, friends, family, neighbors are all being sent in different directions. Global Islamic Foundations and Organizations that could mobilize to provide mental health resources as well as that spiritual guidance and direction, and to help people find new communities and support systems through this crisis. It cannot be stressed enough how much trauma impacts every aspect of life and recovery, from productivity and ability to execute a job to physical health to personal relationships. If those directly involved in the conflict, whether they are refugees or those working to assist them, don’t receive proper care, there is no way, once the fighting is over, that Syria will be able to rebuild and prosper. These millions of displaced people are going to have to rebuild cities, businesses, road and infrastructure, in essence their entire lives. They need to have the emotional, spiritual, and psychological backing in order to tackle this astoundingly huge undertaking. Studies show that the longer you wait to intervene following a trauma, the longer it will take to heal. If you wait too long, you may never recover. This violence in Syria is not new. The introduction of chemical weapons, despite the U.S. Administration’s bravado over their declared “red line” being crossed does not make this a new crisis. In fact, just last night I was going through my laptop hard drive to find a piece I had written in April of last year. My Arabic tutor had given me an article in Arabic about the ambassadors’ wives that urged Asma al-Assad to take a stand for peace in Syria. In my article, I discussed the impact it could have on the place of women in the Arab world as well as the humanitarian cause if Asma, a well-educated woman who formerly worked in investment banking, were to stand up and fight for a more peaceful world. Then, out of curiosity, I wondered, “What is Asma al-Assad doing now? Is she locked away in fear?” What I found was disheartening. Reports suggest that the dictator’s wife has, indeed, been in a bomb-proof bunker, but instead of cowering in fear, she has focused on an obsession with her looks and a shopping spree. There is something sad and desperate in this, true. It has the signs, at least to an outward observer, of someone who feels trapped, and is indulging in the few things she found comforting as her world ends. It’s a painful thought, though it still does not ease the disappointment that this woman did not stand up for herself and seize hold of her situation, or at least at any point express sorrow for the women and children being maimed and killed during this civil war. 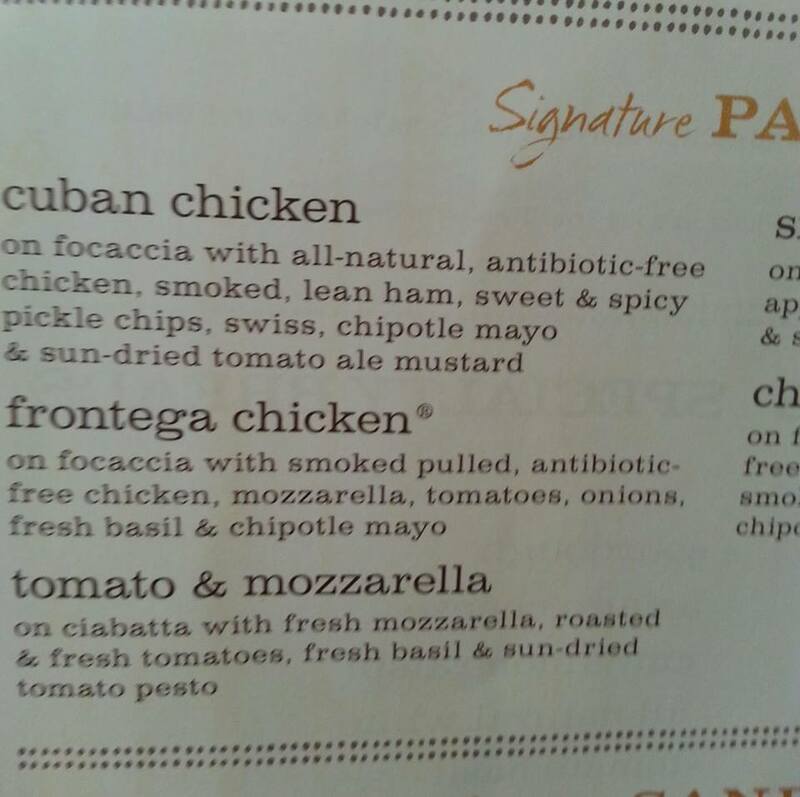 “All natural” and “Antibiotic free” chicken. Well Ok…. What exactly does that mean? I mean allchicken must meet the standards that the USDA has in place for antibiotic withholding, regardless of production practices.